Our English word “dialogue” comes from two Greek words meaning “through,” “passing through,” or “between” and “discourse.” A dialogue is thus a discourse between two or more people as words are passed between them with the goal of reaching a conclusion or agreement. Without dialogue, misunderstanding is sure to take place. My colleague, Rev. Rich Rudowske, asked the question in his address of dialogue, “If the gospel is preached but not understood, has it been proclaimed?” The monkey in the story he had shared did not understand how to help the fish because he did not understand the fish’s needs or his worldview. Sultan Njoya from Cameroon traveled to Germany in the early 1900s. When he went back home, he shared some conclusions about life with his people that he had gathered from his time in Germany. One of these was that a written language was needed. He noticed that the Europeans were very good at discovering and inventing new things. The reason for this was that they had “empty heads.” They did not have to remember everything in their heads, but instead wrote it down, thus eliminating the disadvantage of heads that were too full remembering everything from the past and having no room for new ideas. This inspired him to develop a written form of his language so his people could have “empty heads” necessary to facilitate progress. My point here is that the Europeans and the Cameroonians had the same desire to achieve and succeed, but their perspective was not the same. Their worldviews defined “cause and effect” quite differently. Getting back to the question Rich asked, perspective of people in the receptor culture affects the Gospel message. Our challenge is to bring the meaning of the Gospel to people in a way and manner that it is both proclaimed and understood. At the translation desk, this is done through dialogue. Translators participate in dialogue with fellow translators and missionary personnel. And more dialogue happens between translators and translation reviewers who are people from the community from various walks of life. Even though the reviewers are from the same culture, they will offer new perspective. Perhaps they form a different understanding of a text, or maybe they know how to make the message clearer. 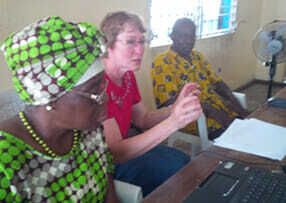 Translators also engage in dialogue with various other people, such as consultants and Bible Society personnel who assist with technology. Consultants ask a lot of questions looking for various nuances to the words used. The goal is to bring light to the original text, translating it into an accurate, beautiful, and clear rendering of the Scriptures in the local language. Dialogue takes time, energy, and a stretching of our own perspective. The way we view the world and everything in it sometimes feels rigid, but God bridges gaps between cultures by the power of His Word. It brings hope and life thanks to the life, death, and resurrection of Jesus Christ. 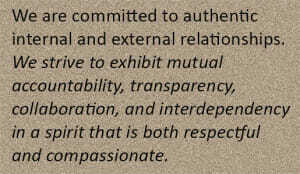 Please, continue to pray for us as we engage in dialogue for His glory. 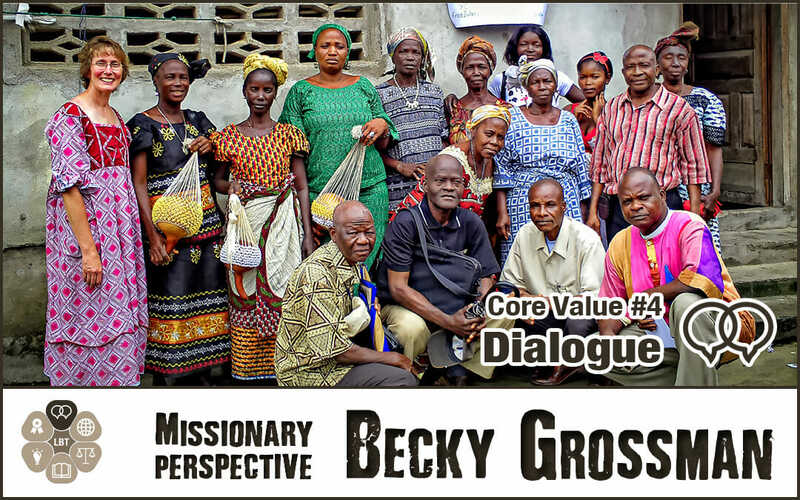 Becky Grossmann is a translation consultant working with the Dan and Gola people of Liberia.